Northumberland is one of the rural areas in England most vulnerable to Brexit, a new report says – but the council leader believes the devolution deal will help to address this. A report released last week from the County Councils Network (CCN) and Grant Thornton UK LLP, Capitalising on the Industrial Strategy, says that despite England’s 37 counties being home to 26 million people, much Brexit policy has to date focused on London and the major cities. Northumberland is outlined as the second most vulnerable county in England to the impacts of Brexit, according to a methodology incorporating unemployment rates, benefit claimants, skills of the workforce and qualifications. The report examines the challenges – and opportunities – facing counties and argues that localised industrial strategies, spearheaded by counties alongside Local Enterprise Partnerships (LEPs), could be the vehicle for areas to ‘take back control of their economic destinies’. These local strategies must be backed by a fairer share of infrastructure investment, an adequate replacement of EU Structural Funds, and a greater policy emphasis on counties, the CCN suggests. 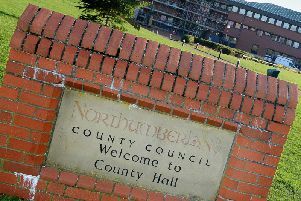 Northumberland County Council says its North of Tyne devolution deal will allow it to shape a local industrial strategy, in partnership with Newcastle City Council and North Tyneside Council. Coun Peter Jackson, leader of Northumberland County Council, said: “Our devolution deal will allow us to play a much bigger role regionally and nationally and will help us to address the vulnerability suggested in this analysis. “Our intention is that, through the new Combined Authority, Northumberland will help shape and inform a local industrial strategy for the North of Tyne area – we are already working with our partners to ensure that this is an early product of our joint working. “We’re also asking central government to devolve powers to our region so we will become a rural growth pilot for England to develop ways in which we can improve prosperity, job opportunities and housing delivery in all of our communities.